Royal Caribbean filed two new trademarks with the United States Patent and Trademark Office for what appears to be cruise ship names. Royal Caribbean filed for new trademarks on Apex of the Seas and Joy of the Seas on June 27, 2017. 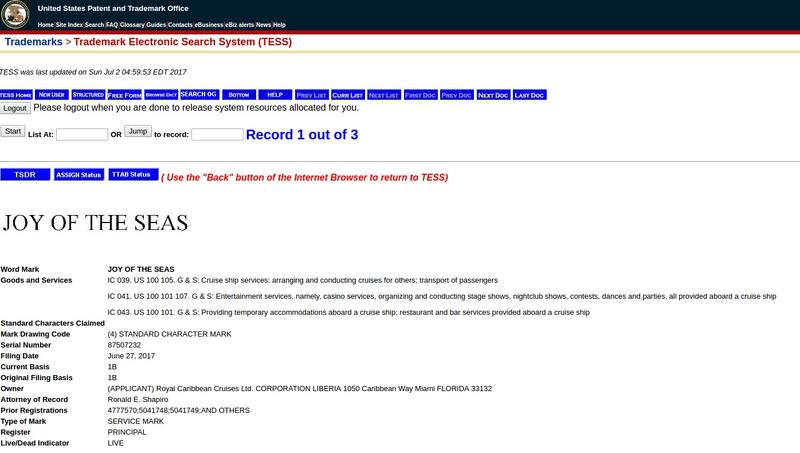 Royal Caribbean had registered both trademarks in September 2014, but the trademarks were abandoned on September 14, 2015. The registration comes just days after Royal Caribbean registered for a similar trademark for Spectrum of the Seas. 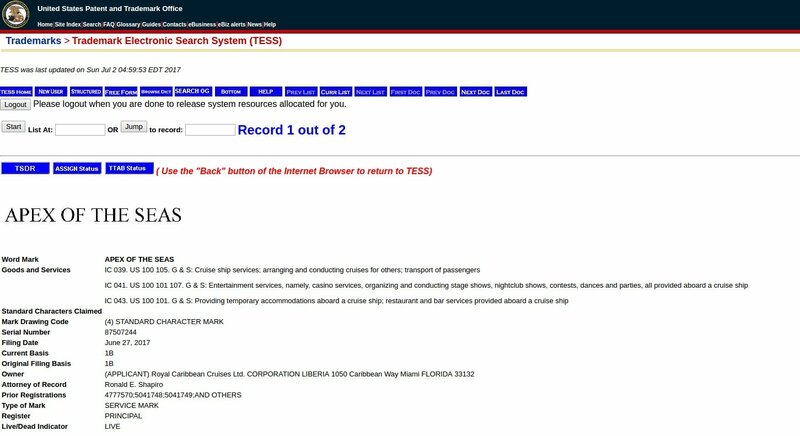 The cruise line has not made any announcements of its intentions for these trademarks, if any. Royal Caribbean currently has six ships on order and/or under construction, although two of the ships already have names associated with them (Symphony of the Seas and Icon of the Seas).